Purchase 1 of each color combo, or 3 of each color combo a 9 Piece Package. 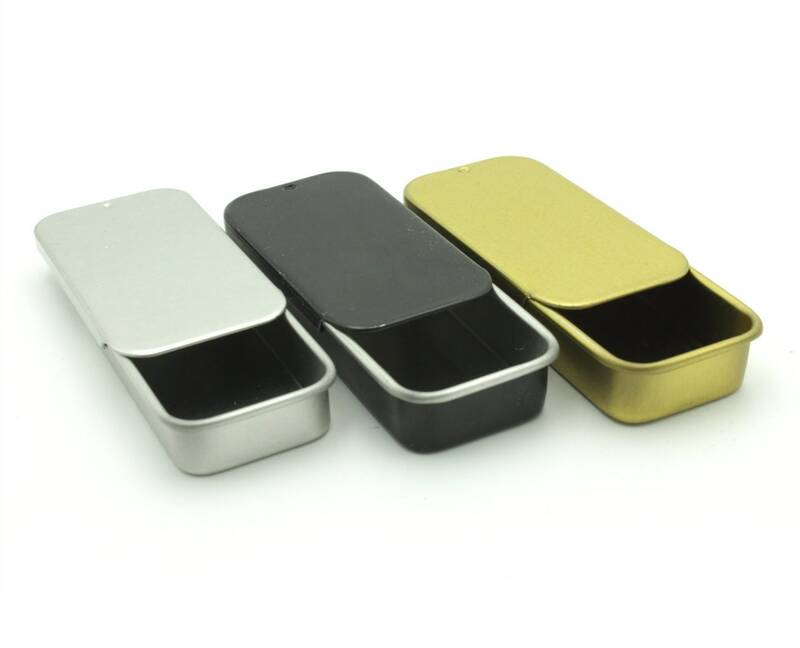 MagnaKoys selection of shallow pocket size rectangular tins with slider tops are now available in a 3 color combo. 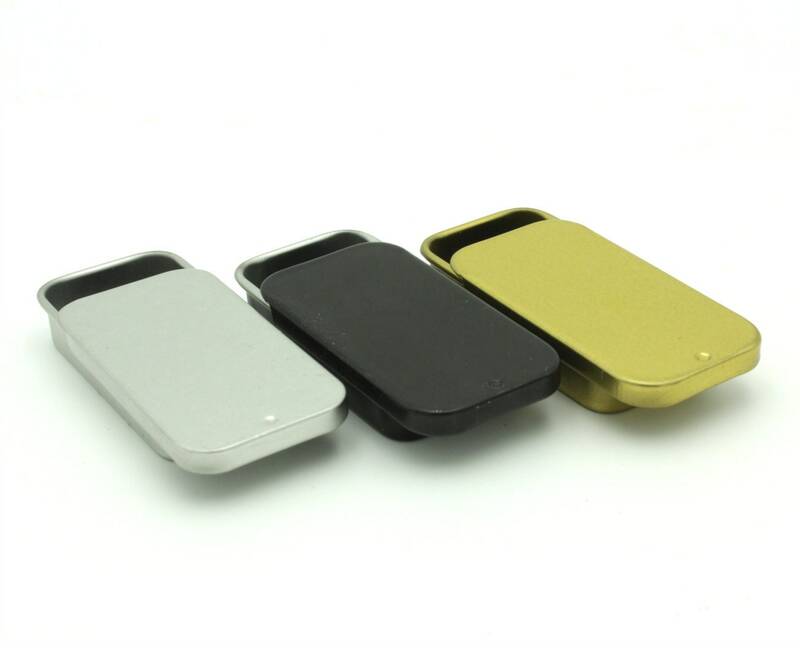 Tops slide in only one direction and stop and snap into place when closed to keep tin sealed. 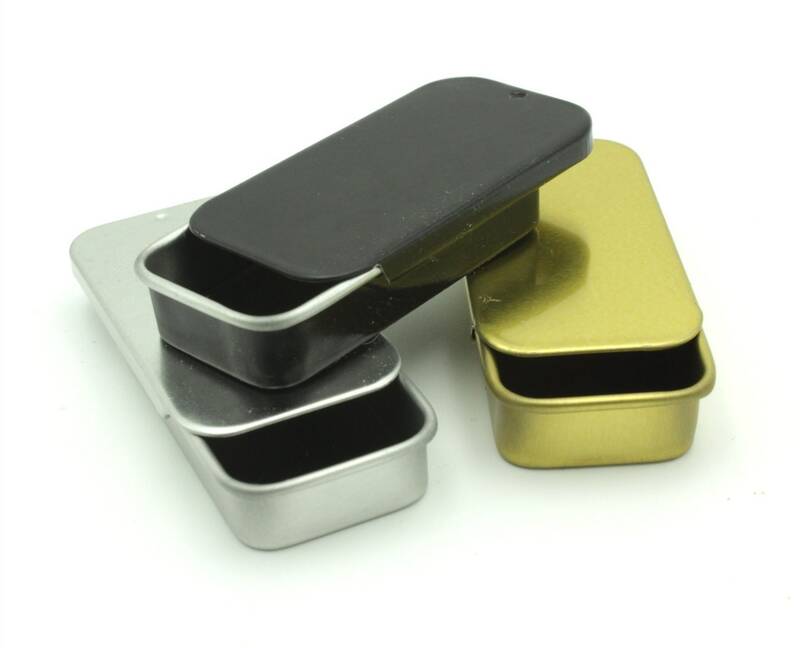 The tinplated steel metal slide top tins are available in a Silver, Black & Gold Combo Package, inside of tins are always silver (non-painted) except Gold tin which is all Gold, The rectangular tins with slide tops are an excellent packaging container choice for many products such as candies, mints, and more! Add a creative label or decorate the tins to your liking, and you'll have the perfect packaging container for your products!. Note: contents of tins are not included, listing is for Metal tins Only. Thank you for looking !! !